I know, I know — I’ve been a terrible blogger lately! Things at work have been crazy, blah, blah, blah. Regardless, I owe you a post, so here goes. If you ever find yourself in Chicago (which I hope happens for you very soon, as it’s a magical place), you should definitely check out the Chicago Pizza and Oven Grinder Co. It’s tucked away in Lincoln Park (just look for the line that’s sure to be outside) and neither the building nor the recipes have been updated since the place opened in 1972 — and that’s a wonderful thing. 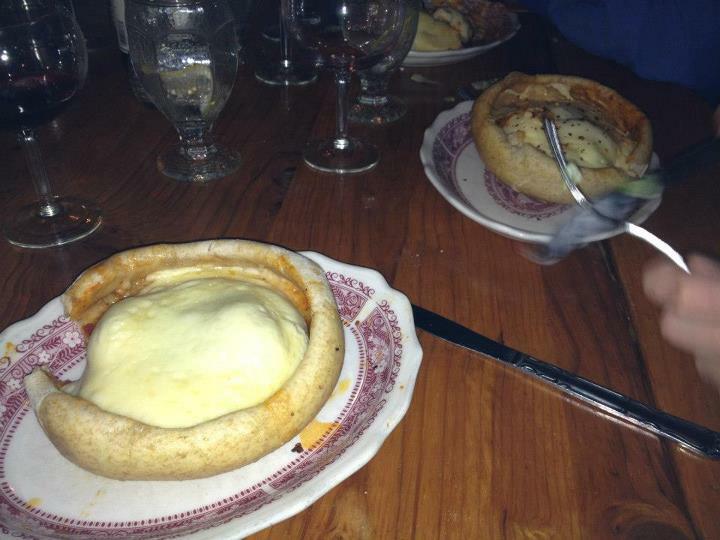 Founded by a Chicago attorney, the restaurant is known especially for their pizza pot pies, which taste a bit like a combination of Chicago-style pizza and homemade lasagna. Kevin and I started watching (re-watching, for me) Pushing Daisies tonight. I’ve been dying for him to see it, because it’s a show I felt certain he’d really like. We’re one episode in, and he’s a fan so far! I love this show for its quirky humor, lovable characters, and bright, beautiful colors and imagery. Too bad it got cancelled so abruptly back in 2009! Any new discoveries I should know about? Music or book recommendations? Please pass them along!